Supply chains are a team effort. 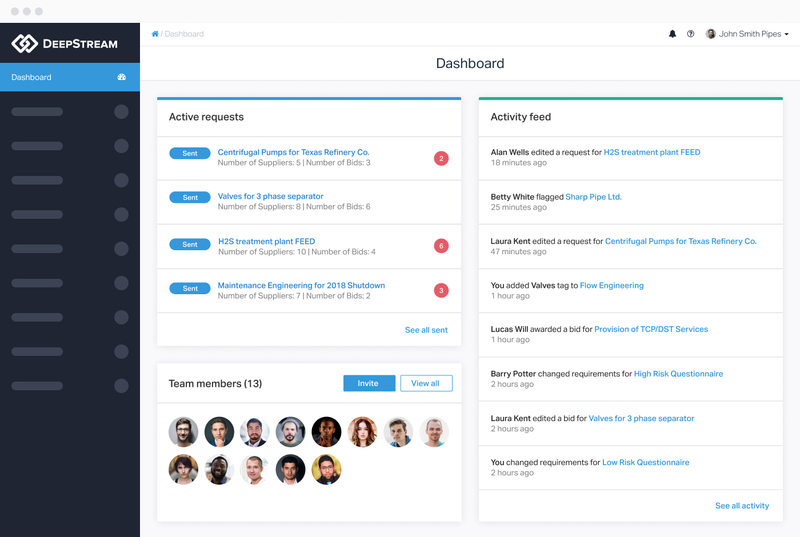 Invite team members and monitor your company tasks in one place. No more sending out questionnaires and manually rating a company. 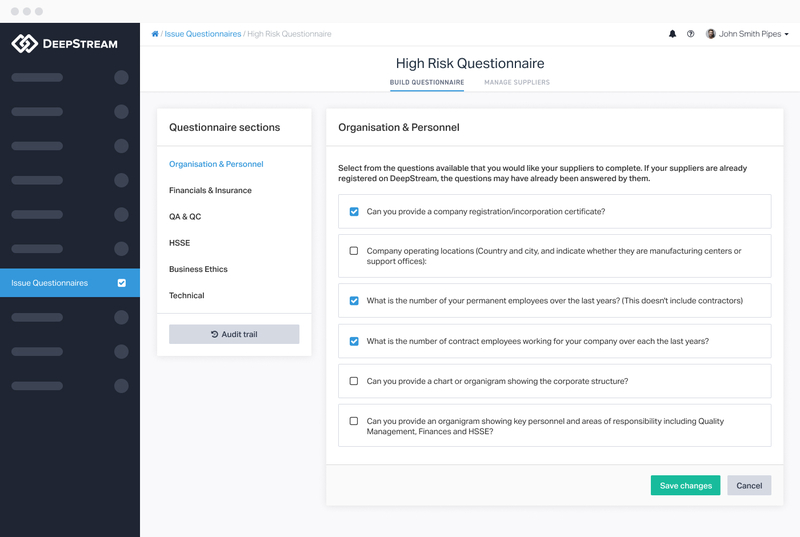 Build multiple questionnaires based on risk, project type and more. Stop managing lists on Excel and googling for those new suppliers. Get your team to participate and build a strong supply chain. We have built a request system that’s flexible and doesn't tell you how to tender — that’s your business. 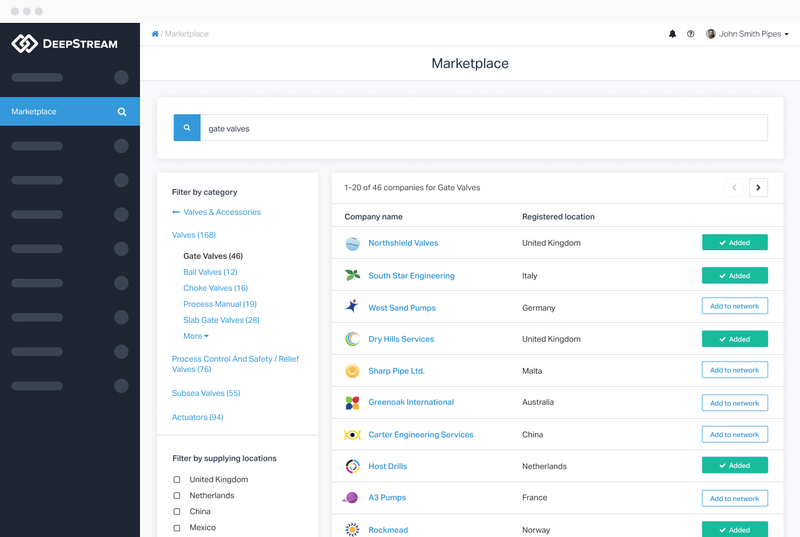 DeepStream give you the tools to work smarter and more efficiently with your suppliers in mind. Compare bid prices, clarifications, deviations, supplier pre-qualification and much more on one screen.